Yep, we have a plenty of options when it comes to browsers for mobile devices but we seem to be constantly in love with Google’s Chrome. While Safari and Firefox may have their own benefits, Chrome wins the hearts when it comes to fluidity, speed, and simplicity. Why then do we experience a little lag in performance when we use Chrome on our busy smartphones and tablets? 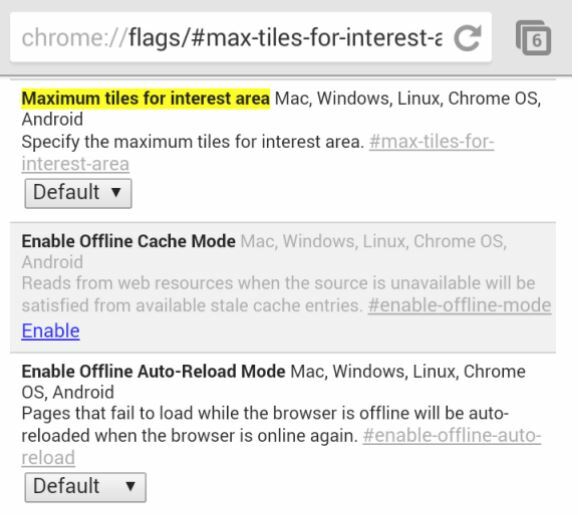 Here is a quick tip to speed up Chrome on your mobile devices and get the performance that you have always asked for! Here is the promised quick tip to help you speed up Chrome on your smartphones and tablets. While it doesn’t take much of your time, this small tip has certainly kept many browser-fans happy with the speed and improved, lag-free performance. Open Google’s Chrome browser on your smartphone or tablet or open a new tab. You will see an screen like the one below; click on the Default drop down menu of the highlighted area. Change it to either 512 or 256 (latter will suit older devices with less than 1GB of RAM). These simple steps will noticeably improve web browsing, especially you will experience smoother scrolling in the web pages heavy with images. 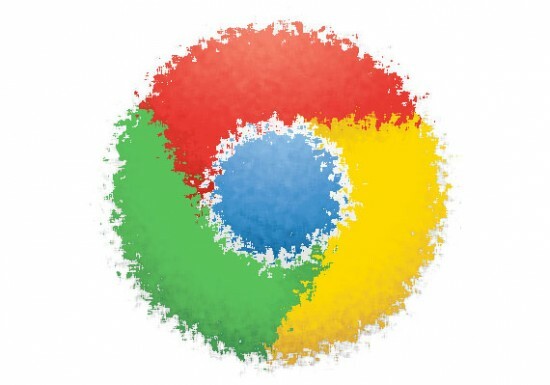 Samsung Galaxy S4, HTC One, Samsung Galaxy S3, Moto and Nexus latest models will benefit from this little tweaking with Chrome. However, keep in mind that selecting an option above and getting it work to actually speed up Chrome on your mobile device depends on how you use your phone. 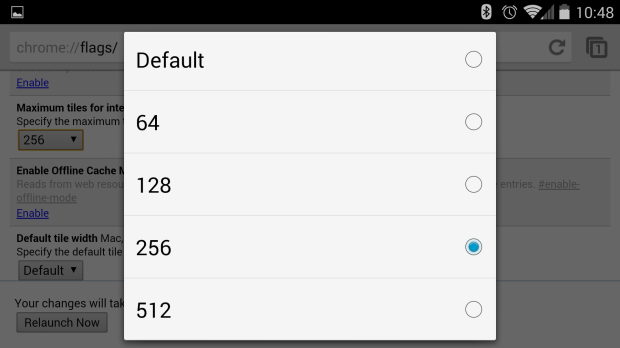 If you have a 2GB device but you multitask a lot, try to stick with 256MB option. To see what works for you, start with 512MB and then work on 256MB to see the difference in performance.